New York to attend a writing workshop led by my delightful friend, Simon Van Booy, and New Jersey to visit son and daughter-in-law. And, apparently, also to bond with my grand-dog, with whom I spent a startling amount of time reading on a breezy porch. Between the trips to NJ/NY and dealing with the house sale (on-again, off-again, on-again, ugh -- it's enough to make a girl a little crazy), I can't say I managed to round up absolutely every book that arrived (and, in retrospect, it seems I actually photographed at least two that I've already mentioned). I'm just going to call it close enough and move on from here. 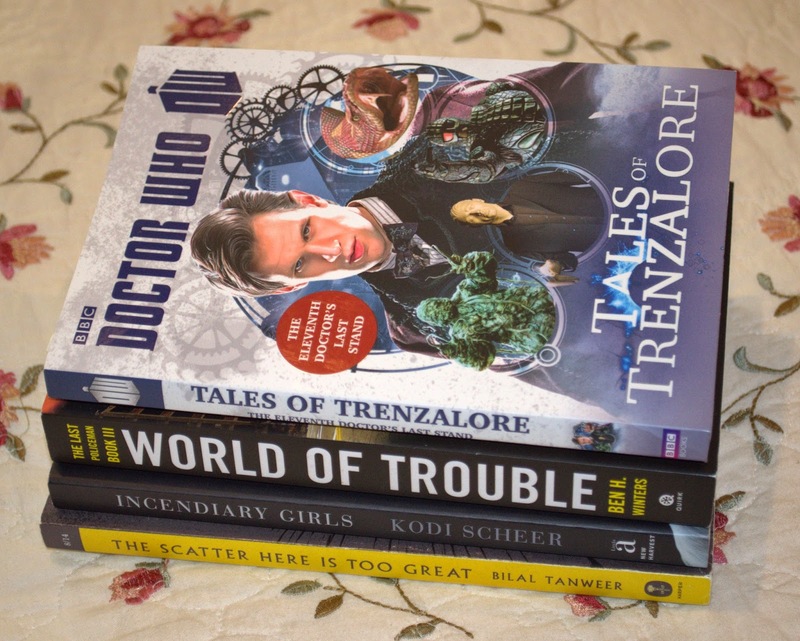 Tales of Trenzalore (stories) by Richards, Mann, Finch and Morris - This was a "thank you gift" from BBC Books for participating in their Doctor Who tour, last year. Kiddo and I were giddy. World of Trouble by Ben H. Winters - One of my most-anticipated books of the year and, yes, I read it immediately, release date be damned (July 15 for those of you who are bouncing in your seats in anticipation). 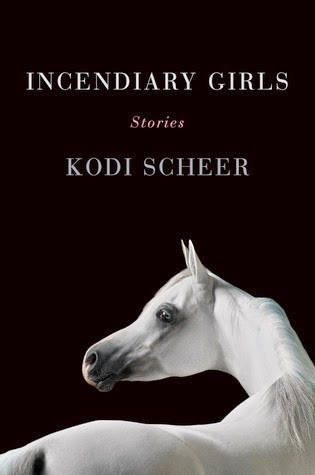 Incendiary Girls by Kodi Scheer - Pretty sure I already mentioned this one when it arrived, now that I think about it. 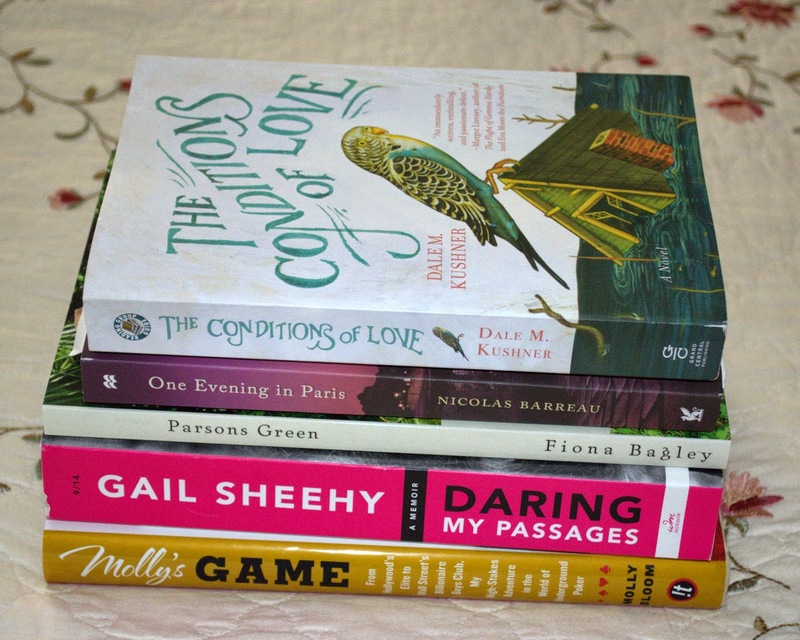 Molly's Game by Molly Bloom - unsolicited from Harper's !t Books. The Humans by Matt Haig - Saved me from boredom -- as did the other passengers on my flight to Newark, who remained incredibly upbeat and relaxed during a 7-hour flight delay; thank you to all, especially the fellow who took turns luggage-watching when I traveled solo. Boy, Snow, Bird by Helen Oyeyemi - I'm on page 72 and there's something about this book that makes me squirmy and a little irritable. I'm not sure what it is that's making my skin crawl. Oyeyemi's writing is also surprising and I like that, so I'll continue on but I don't feel entirely comfortable saying I think I'll complete the reading. Sometimes a clever twist of phrase only takes you so far. Man of Steel was eldest son's choice, while we were visiting. 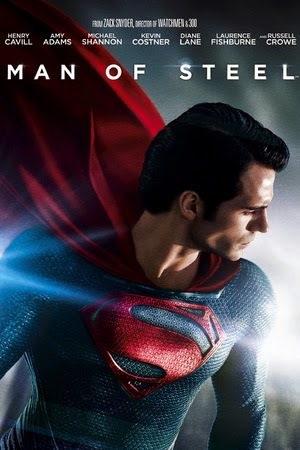 To be honest, I'm not a big fan of Superman in any form, although I have watched my fair share of the various versions. There are so many!!! I think the Superman franchise should die. Personal humble opinion, but then I'm not the one who ought to decide since I'm not a fan, period. On the plus side: Gah, gorgeous actor, that Henry Cavill. I could stare at him all day. And, Man of Steel does have quite the all-star cast. On the negative side: The protracted fight scenes, overdone/weird home planet technology, changes from the original storyline, awkward lack of chemistry between Superman and Lois Lane all made me cringe. Just not my thing. On the rather shocking side: My husband liked it. Say what? He doesn't like much of anything. You might remember I got him to watch Page Eight, recently, and was extremely excited that he liked it enough to sit through the entire movie. I just . . . I don't . . . ???? Oblivion was definitely my choice. Kiddo wanted to rent a movie from Red Box and insisted upon an action movie. The choices were pretty limited so I chose Oblivion. I do like sci-fi, although I don't love Tom Cruise. The basic storyline is "World destroyed in war, everyone's gone to Titan except a few people who are meant to clean up, kill off the scavengers/aliens and then join the others." But, then Tom Cruise as "Jack" (Cruise probably doesn't have enough fingers to count the number of times he's played a Jake or a Jack) discovers something he's not meant to find out and becomes a target, has to save the day, yada, yada. I thought Oblivion was a little slow and it contained some unnecessary scenes but apart from what I'd seen in the trailer, I knew diddly-squat about the movie. I didn't even know Morgan Freeman was in it. That turned out to be a good thing. When Morgan Freeman turned up, I was pleased. The movie has one of those characters with a terrible fake Southern accent and then who shows up but a true Southerner who barely sounds Southern at all! It's like the movie-makers are pulling their own leg. 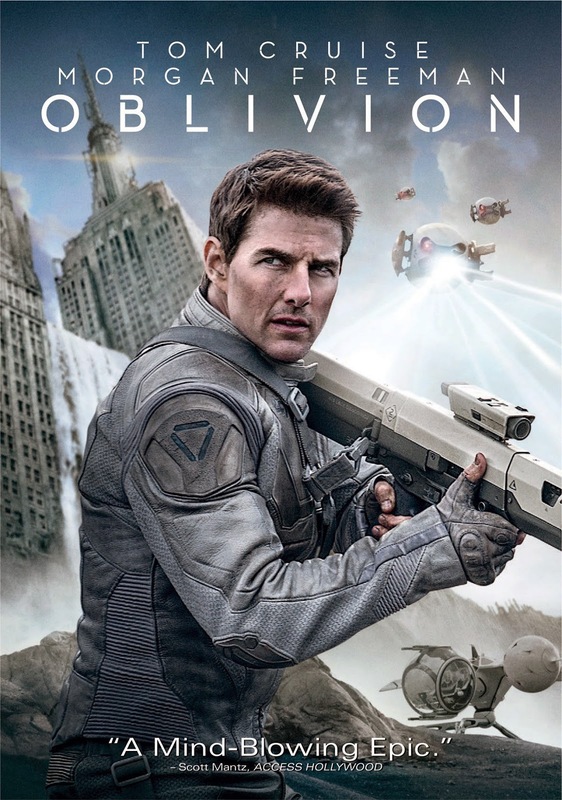 At any rate, apart from the slow pacing and that horrendous accent, I enjoyed Oblivion. It's a little predictable but still surprised me a couple times and I liked the storyline. Husband left the room. See! He doesn't like anything!!!! Kiddo brought out a stack of slapstick movies and I made "meh" noises, so Huzzybuns chose. I'm really craving something a little more along the lines of BBC historical, to be honest, and if we're going with Dan Ackroyd, I'd prefer Ghostbusters. We came in on the end of Ghostbusters in New Jersey, one day, and planned to stream the full movie but never got around to doing so. If you've never seen Spies Like Us, it's worth seeing for the laughs. I've always liked it, although it's not necessarily a personal favorite. Chevy Chase and Dan Ackroyd play two lower-level government employees who are recruited to act as [expendable] decoys during a spy operation in Russia (Reagan era!!) but manage to stumble upon the real job and stop a plot that involves use of Reagan's so-called Star Wars defense system -- which, of course, was a disaster in reality. 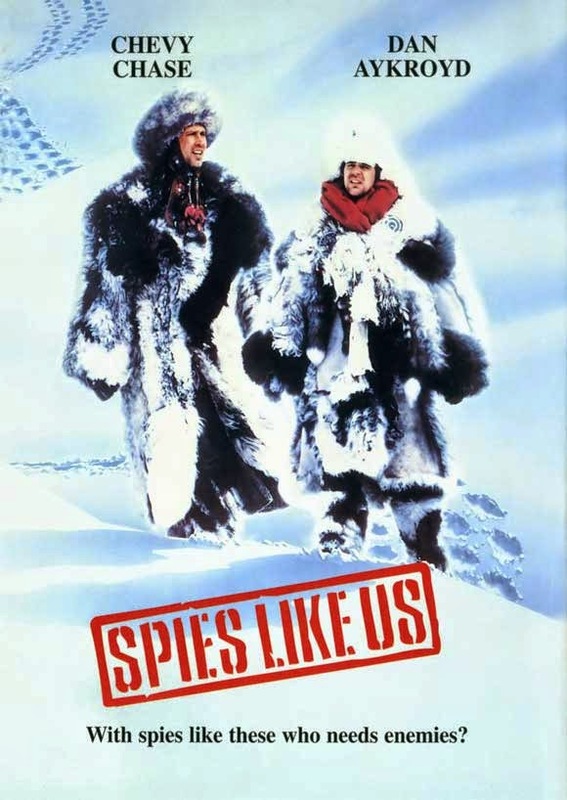 Not what I wanted to watch, but Spies Like Us is reliable for a little slapstick fun. I'm pretty sure Husband stayed in the room. He doesn't necessarily stick around merely because he chose the movie. So . 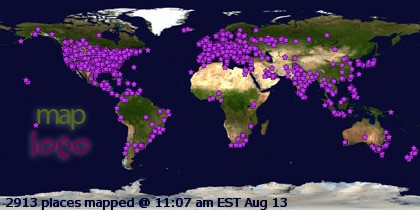 . . what's been up in your world, this past couple of weeks? Have you read anything marvelous? Just as engrossing the second time. 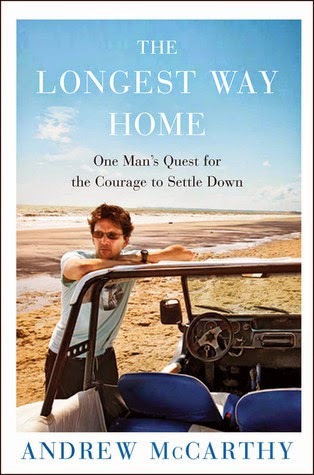 I reviewed The Longest Way Home thoroughly, the first time I read it. This time, I reread to discuss with my F2F group. The discussion was not great. Those who read the book loved it but a lot of people didn't get around to reading and few showed up, possibly because of summer travel (one of our members broke a leg --something to do with a bungee cord and balloons). We didn't care for the prepared questions in the book and, unfortunately, the bits that I'd highlighted to bring up for discussion were not available because my iPad chose the meeting time to crash. Oh, well. I still loved the book and I'd read it, again. It's by far one of my favorite travel reads in recent years. Sparkling wit coupled with realistic storytelling. My delightful friend Sandie sent me her copy of Bark. I recently read Moore's most lauded collection, Birds of America, and was both disappointed and impressed. She's a talented wordsmith; but, her stories are such bummers. Maybe I've become accustomed to her style because I did end up enjoying the 8 stories in Bark (I mistakenly said there were 5 stories, recently -- not sure how that number lodged in my brain but the correct number is 8). One thing's for sure: she's so clever that I use a ton of Post-its whenever I read her writing. A totally quirky collection of stories. Kodi Scheer must have some sort of medical training in her background because there are quite a few stories that involve a character who is a medical professional and/or has some depth of anatomical knowledge in Incendiary Girls. Regardless, this is one weird - a** set of stories. A doctor finds out she has breast cancer just after convincing herself that the horse her daughter trains on is her reincarnated mother. After discovering that one of the contestants in a beauty contest has a fake scar on her leg, the other contestants tear her to pieces, literally. When the wife of a deployed army medic finds his ear in the laundry and other pieces of his body show up, she realizes he has died. After each anatomy class, the body a medical student has been dissecting shows up at her home with his flesh peeled back and parts missing where the students have taken him apart. Seriously. Bizarre. Stuff. I loved it. Reminder: Hopefully, Monday Malarkey will be back next week. Brief note about this particular request: I've only read one other Dorothea Benton Frank book, Shem Creek, quite a few years ago. I liked the book and can still recall the setting and general storyline but I didn't love it enough to seek out any of Frank's other books. When this book was offered for review, I chose it specifically for the change of pace. Elderly Maisie is seen walking down the highway with a llama as The Hurricane Sisters unfolds. Is she nuts or is there more to the story? 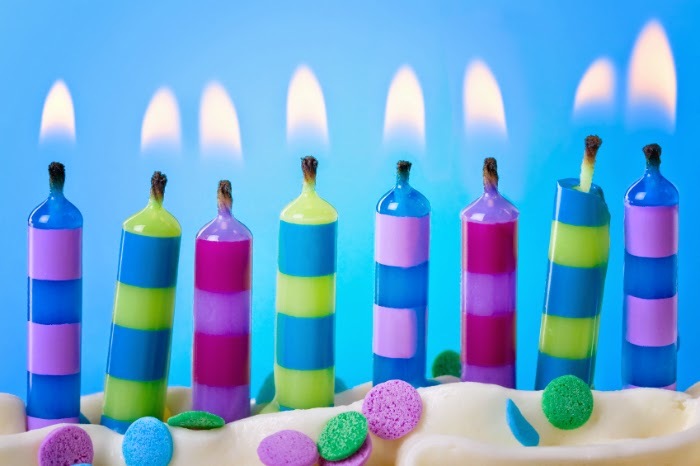 To find out, we must go back to the beginning, when Maisie's quirky family gathers for her birthday. At eighty, Maisie is old enough that her daughter has taken away her car and hired a driver, a youngster in his sixties whom Maisie has taken as her lover. Maisie's daughter Liz, a former model, works hard raising funds for a shelter for abused women and tries not to feel too hurt about the fact that Maisie is always bringing up Liz's long-dead sister, Juliet. Liz's daughter Ashley is an artist, like Juliet, living in her parents' beach house and working in a gallery for $10 an hour. She has visions of marrying a senator, becoming the next Jackie O whilst traveling Europe, where she'll become a famous artist. And, that's just the women. On the male side are Liz's workaholic husband, who spends his weekdays in New York City, where he's become entangled with a vixen, Ashley's gay brother and his partner, and Senator Galloway, who is not only full of himself but bad news, in general. What will happen when Liz finds out Clayton is straying? Will Ashley get out of her unhealthy relationship with Senator Galloway or will she go along with whatever he tells her to do, just for the sake of potentially marrying a future president? And, why on earth does Maisie end up walking a llama down the highway? The Hurricane Sisters is pure crazy Southern fluff with wacky characters, an interesting setting, some typical dilemmas and a not-so-surprising twist at the end. I did love finding out the deal with the llama but Ashley's relationship just drove me bonkers. I wanted to swat some sense into her. However, as in real life, it took a long time before Ashley wised up, with a little help from friends and relatives. While the writing in The Hurricane Sisters was extremely light, the timing was good. I'd been having trouble focusing on much of anything and (apart from the annoying prevalence of "y'all" in every conversation -- which is just reality in the South), I appreciated the writing for the levity and liked the way all the storylines were wrapped up in the end. I do admit to feeling a little annoyed that everyone was either wealthy and beautiful or desired to be both. That gets a little tiresome. I prefer characters that are realistically flawed, physically as well as emotionally. But, it was the right book for the moment. Recommended but not a favorite - A very light, beachy read about a quirky family with a serious theme about abuse of women that runs through the book like an undercurrent rather than being thrown in your face. Loved the typically nutty Southern characters. 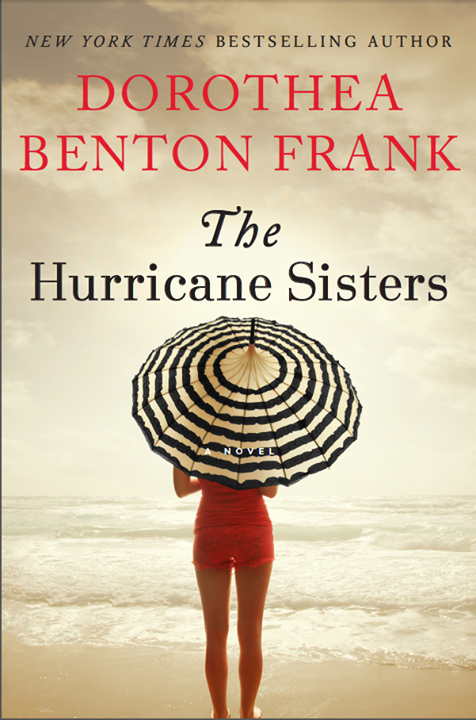 While beachy reading material is not my normal reading fare, The Hurricane Sisters was the right book for the moment and I don't regret reading it although, in general, it's just average. Clearly, there's an excellent reason for my aloe vera's spindly looks. I'm going to try to keep this review as free of spoilers as possible, but I think it's almost impossible to describe without spoiling it a little. So, if you're concerned that my review might tell you a bit too much, please skip down to the recommendation. Solsbury Hill is about a woman in her 20s named Eleanor. Her mother was killed in an automobile accident and her father died a few years later but she's worked hard and has a successful business designing sweaters. Eleanor's boyfriend has been her best friend all of her life and they have gradually become lovers. 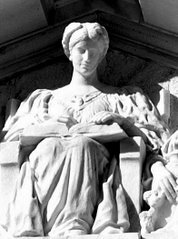 Her parents were British but moved to the United States, her mother's sister Alice the heir to an estate in Yorkshire that has been entailed to the eldest daughter of the family for generations. After a bit of set-up, Eleanor gets a call summoning her to Solsbury Hill: Aunt Alice is mortally ill and wants to see her niece before she dies. A family curse, ghosts and an unexpected inheritance await her, along with a half-Spanish, half-Scottish man whose name translates to "Heathcliff". As Eleanor roams the moors, getting in touch with her introspective inner Brit, she has time to ponder the cheating boyfriend back home. Will Eleanor fall sway to the family curse and end up with the wrong man or will she break the pattern and choose well? I was in the mood for a Gothic read when I picked up Solsbury Hill, a book that is meant to be based on Wuthering Heights. I don't actually like Wuthering Heights but there are elements of the book that I love, chiefly the atmospheric setting. It was the promise of atmosphere that intrigued me about the book's description. Unfortunately, in spite of a good start, the book was a mess. I liked the set-up, was intrigued about what lay in store for Eleanor and wondered how she would deal with the situation with her boyfriend. But, ultimately I was disappointed. What began as a book with minimalist writing became choppy and disjointed, sometimes so confusing that I didn't even know what an entire sentence meant, with elements that feel as if they were overworked and far too convenient. The farther I got into the book, the more frustrated I became -- so frustrated, in fact, that it has driven me back to the "50 page" rule: "If you're not loving it by 50 pages, stop reading." 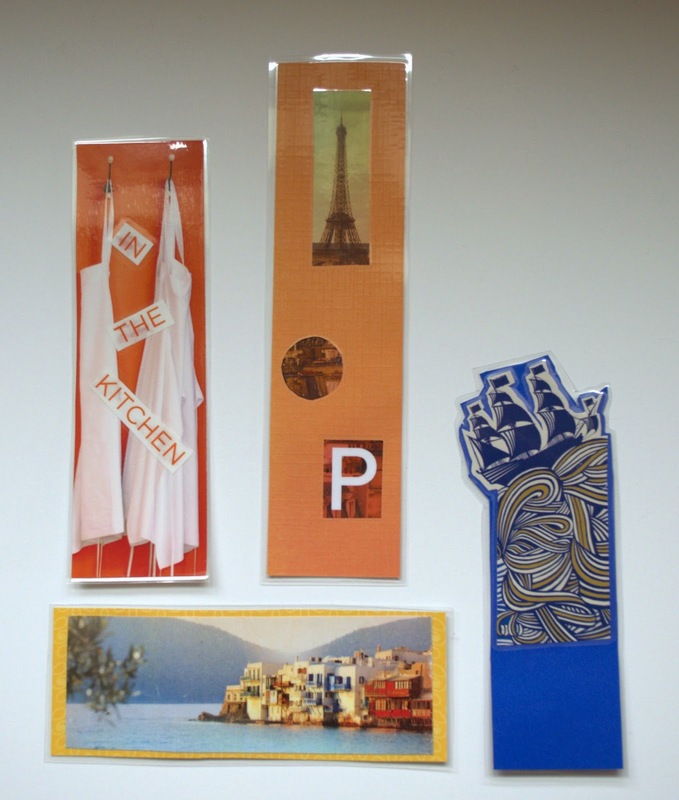 I did continue but in the end I gave the book 2 stars and closed it feeling fussy and used. I think the author has promise but in this case the writer's presence was overwhelming and Solsbury Hill simply didn't work for me. Not recommended - It's extremely rare for me to give a book the harsh "not recommended" rating but I felt like Solsbury Hill was a good idea gone wrong. Far too many of the elements either are nonsensical, silly or too convenient, the writing clearly an attempt at minimalism that comes off as confusing, choppy and frustrating. Even the most prominent ghost can't seem to spit out a coherent sentence. 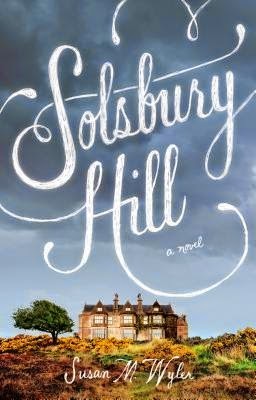 I wrote a longer review with more spoilers here: My Goodreads review of Solsbury Hill. Harsh as my reviews and rating appear, I honestly believe that with a little work the author has promise. However, she definitely needs to work on writing with clarity and not overworking a plot. This is so bizarre I'm still laughing about it a week after it happened. 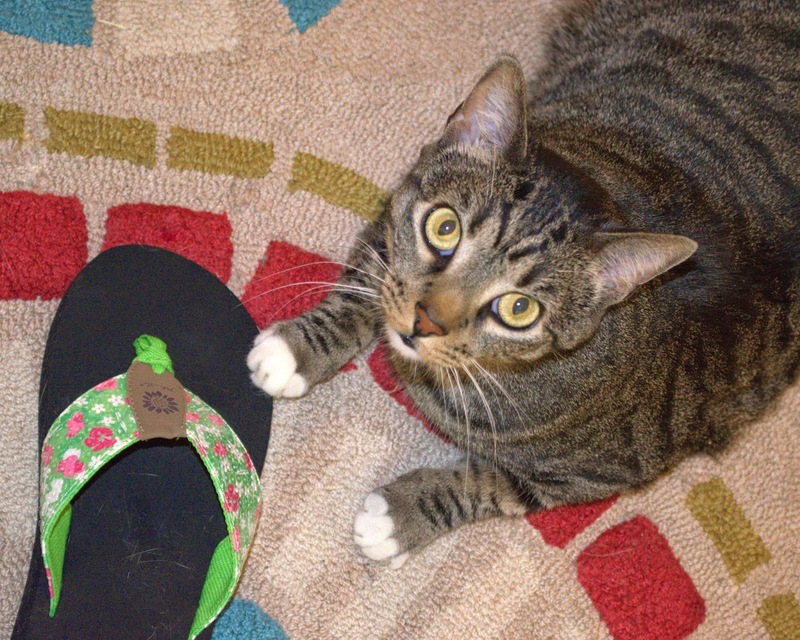 I ordered two pairs of cute flip-flops and when they arrived the cats went completely nutso over them, rubbing against them, rolling over with a shoe in their paws, talking to them. You'd think they were laced with catnip. "Look what I caught, Mom!" 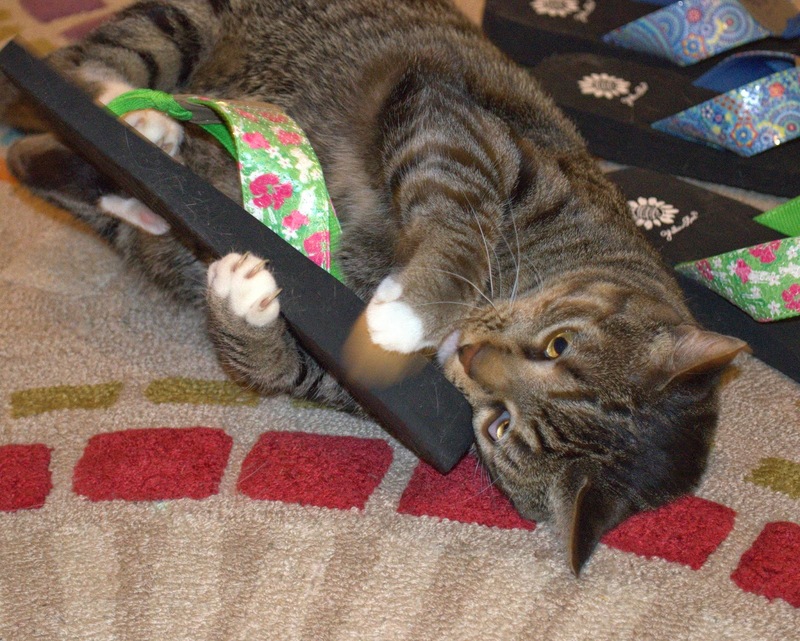 When Isabel sank her claws into the glittery fabric portion of one shoe, I tried to unhook her claws and we had a new experience: Izzy tried to nip me and swiped at my hand. Goodness. 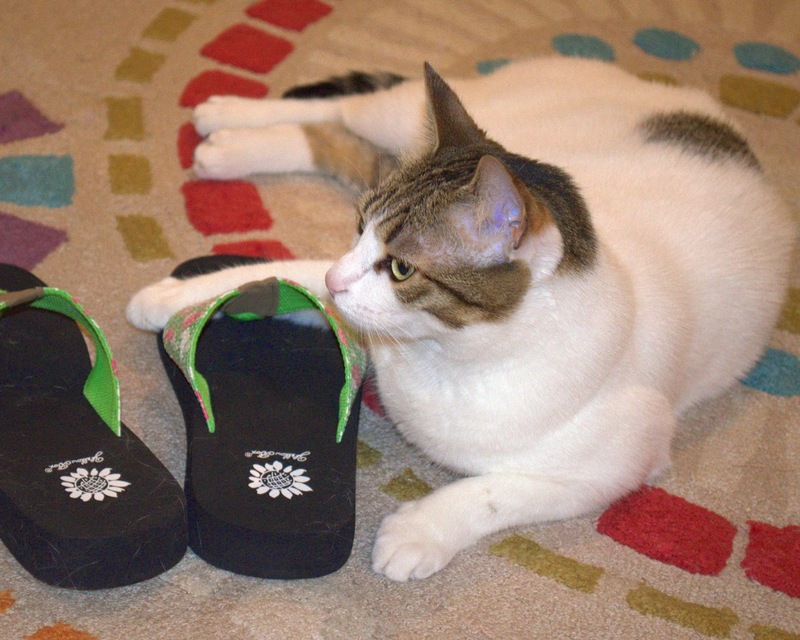 She takes loving on flip-flops very seriously. After their furry christening, the cats moved on to other adventures, thank goodness. I was afraid they were going to become a sacrifice to appease the princesses. What a poorly designed bird, Anton thought as he crept toward the water, keeping his head down. His instinct proved a sound one, for there were flat rocks in the burbling water of the stream, which made it easy to scamper to the other side, where a grove of real trees with limbs promised both shade and shelter. The bird had evidently given up for now. You can see from looking at the cover why I specifically asked to review Anton and Cecil. Cat book!!! When Algonquin launched its Young Reader imprint, I was hoping they'd send me the first new titles off the press, which included Anton and Cecil -- and they may have, but the launch occurred during the time when parcels were disappearing at our new location (one book was taken right out of the envelope, the envelope badly re-taped and sent on with the other book intact). 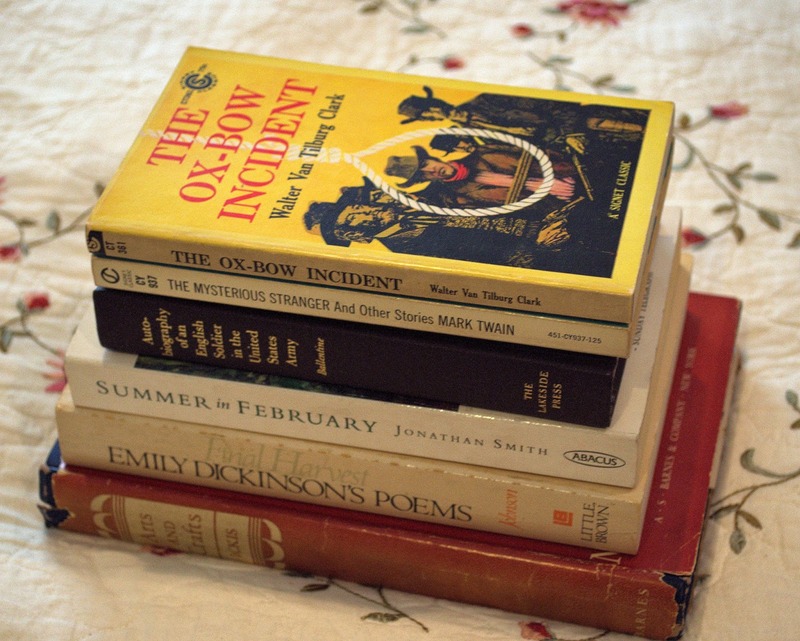 That problem was eventually resolved, thank goodness, so when I was recently contacted by an Algonquin rep about a memoir, I asked if it would be possible to get my mitts on a few books I'd missed the fun of reviewing during our mail crisis. I so appreciate the kind response. My thanks to Algonquin for providing a copy of Anton and Cecil! Anton and Cecil live in a lighthouse with their mother. They're siblings, although Anton is sleek and gray, Cecil fluffy and black and their personalities every bit as different as their looks. While their mother continues to bear new rounds of siblings, Anton and Cecil like to explore, occasionally stealing fish from the sailors. Cecil is the more adventurous of the two cats, taking daily trips with the day fishermen while avoiding the ships that go to sea for longer stretches, sometimes never to return. Anton loves listening to sea shanties at the local inn. Both are careful to avoid the port at night, when cats have been known to disappear. Then, one evening, Anton is snatched up to be used as a mouser on one of the ships. When Cecil realizes his brother is missing, he investigates and then takes to the high seas, as well, determined to find Anton. He has no idea the sea is so immense. Will Cecil be able to find his brother? What will become of Anton, who dislikes the taste of mice and rats? 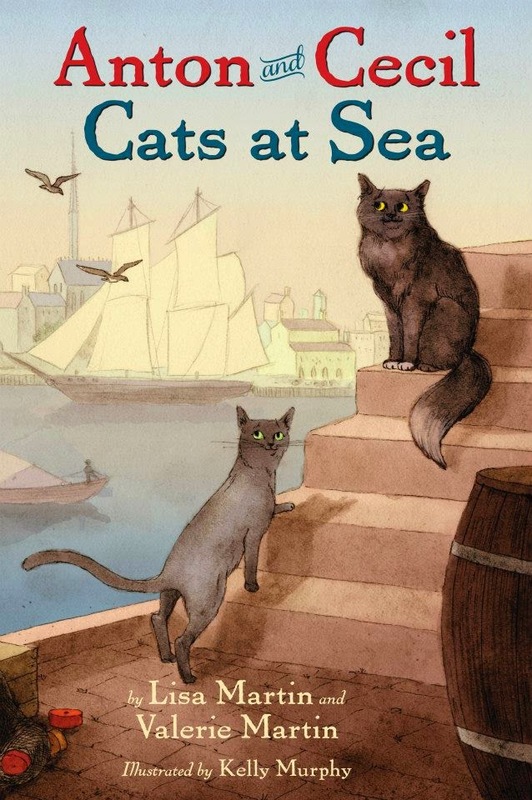 I was hoping Anton and Cecil: Cats at Sea would be the kind of adventurous cat tale I sought out as a youngster and found the story contained all the elements I loved. The book alternates between Anton and Cecil's viewpoints, both of them experience danger and adventure, both develop surprising friendships, both come up with clever solutions when they're in a tight spot, plus the brotherly relationship is well-described: they argue but they love each other. Perfect. Highly recommended: An exceptionally well-plotted, quick-moving adventure that is great for cat lovers of all ages. I probably would have read this book around the age or 8 or 9. It would also be terrific to read to younger children. Although there are frightening moments when the cats are kicked, locked up, stranded on an island, taken to be sold or in other ways threatened, everything works out in the end and the brothers are happily reunited. My only complaint about the book is the use of "fo'c'sle"written phonetically rather than spelled out "forecastle" on p. 167, a minor complaint but I do think it's best to write the actual word rather than focusing on the pronunciation when writing for the younger crowd. I've opted to pair mini reviews of these two YA titles together because neither came from a publisher. Both are ARCs that were sent by a friend and I might have skipped writing about them entirely if not for the fact that I enjoyed them so much. 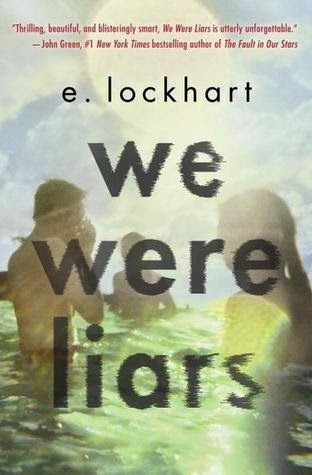 We Were Liars by E. Lockhart is supposedly one of the hot YA novels of the season and I went into the reading knowing that and nothing else, which is apparently the best way to enter the reading. Cadence comes from a wealthy family but a broken one. Every year her grandparents, aunts and cousins, plus a relative of one of the aunts' boyfriends, spend their summer on the family's island. All that changed, two years ago. Now, Cady has migraines and memory problems and her mother is constantly telling her to stop talking crazy, get a grip. After a summer in Europe, Cady returns to the island and tries to piece together the events that led to her traumatic memory loss. What happened to Cady? Most of the reviews of this book are vague, at best, and there is good reason for that. It is best to go into the reading totally blind. Those who have gone into it after reading the publishing hype have, I've found, been the most disappointed. I thought the book was excellent. I liked the poetic writing, the interaction between Cady and her cousins, the underlying themes about race and privilege, the way everything was explained (even if the explanation was a bit maddening). I liked it so much, in fact, that I bought a finished copy so I can reread the book with the knowledge of how it ends. 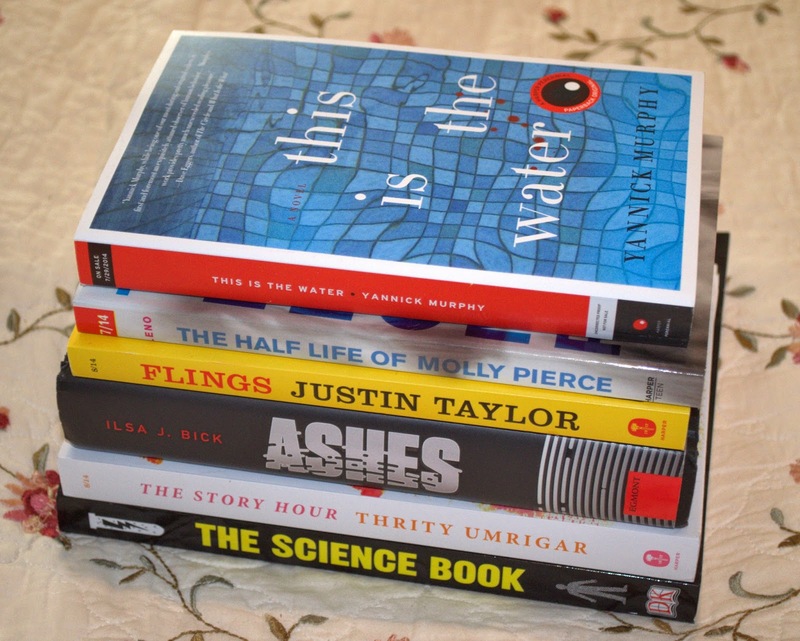 Blogger and YA author Lenore Applehans mentioned that reading We Were Liars a second time was revealing from a craft perspective. I've yet to get to that second reading but I'm still glad I bought a copy and am looking forward to seeing the story from a different perspective. Highly recommended - Loved the natural rhythm of the writing, the characters, the mystery, what I perceived as the themes (sometimes I wonder if I'm getting out of a book what an author intends) and the ending. If you read the book, I advise going into the reading knowing as little as possible -- maybe wait till you forget the hype if you've read or heard too much. The less you know, the better. Half Bad by Sally Green is yet another YA that I heard was good from a reliable source (same source and provider as We Were Liars, actually) and read without even bothering to read what it was about. In Half Bad, there are White Witches and Black Witches (and regular old humans -- unfortunately, I can't remember what they're called). The White Witches are allegedly good, the Black bad. But what about someone with mixed parentage? Is a half-breed good or bad? As Half Bad opens, the reader gets to know Nathan, a teenager who lives in a cage. He has a keeper who makes him do chores and exercise, cook and study. If he runs too far, says something he shouldn't or doesn't do his chores as expected, he's punished. And, he can't run away without dire consequences. But, why is Nathan in a cage? The book unfolds in several sections, first a look at Nathan's life in a cage, then a return to the past where the reader learns about Nathan's family, most of whom love him dearly and do everything they can to protect him from the people who presume he will someday choose his dark side, as Nathan is half White Witch, half Black. Over the years, the rules regarding half-breeds keep changing, becoming more and more restrictive, and Nathan finds out that the White Witches -- who believe themselves to be the good ones -- may be every bit as bad as the Black Witches, if not worse. Who is good and who is evil? What will become of Nathan? Will he ever meet his mysterious father, a man the White Witches claim to be one of the most dangerous and prolific murderers on Earth? Will Nathan survive to receive the three gifts he needs to go from Whet to Witch at age 17 and who will give him his gifts if he does? Highly recommended - Wow, did I love this book. There's a lot to think about, plenty of action, characters to love and hate, and the changes in Nathan are believable. It's one of the darkest YA novels I've read but, relatively speaking, I don't read all that many. I've been told it's mild by comparison with some. 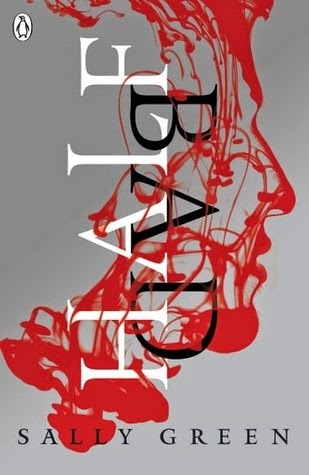 Half Bad is the first in a trilogy but it's wrapped up in a satisfactory way, even though there's clearly more to the story. I can't wait to read the next book in the series. I'm being thwarted by technology, again (photo loading-wise), but the books I've recently acquired mostly have boring white spines, anyway, so in lieu of a book stack photo you get a cat on glass. After I took this photo, I realized it was going to be more difficult than I anticipated to get off the floor with scraped knees and a shoulder that can't hold weight, but clearly I eventually succeeded. Unless, of course, I'm lying to you and just writing from the floor beneath the breakfast nook table. Hard to say from your angle, isn't it? 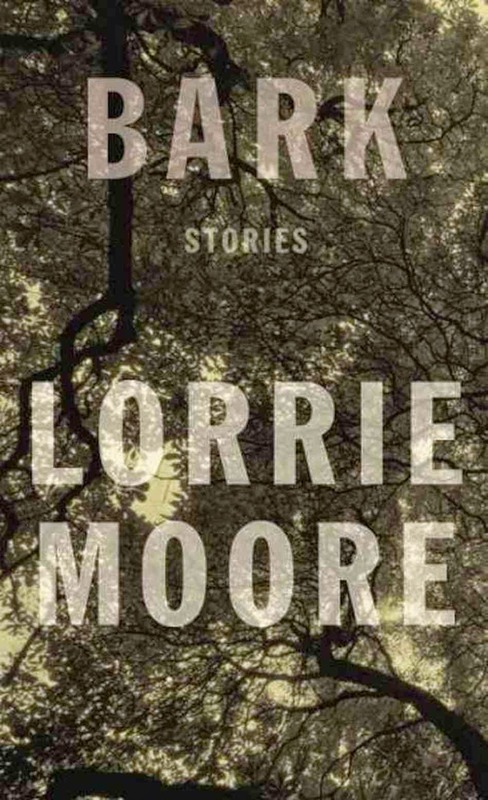 Bark by Lorrie Moore - I've only read 2 out of the 5 stories, in spite of the fact that Bark has been my sidebar for a couple weeks. It's a slim volume so I'm stretching out the reading. Time and Again by Jack Finney - Since this is a reread of a book I love, I can at least say it's not Jack Finney's fault I keep falling asleep reading. During my almost-week off, husband and I watched the BBC movie version of The 39 Steps. I've read the original novel by John Buchan, seen the play in London's West End (a comedy, completely different from the movie), and this movie starring Rupert Penry-Jones is a second viewing for us. We just happened to be in the mood to watch something we already knew we enjoyed. 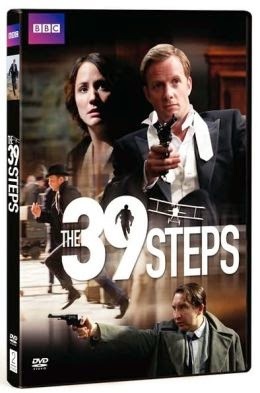 I've just been reading the Wikipedia entry on the 2008 version of The 39 Steps and realized I've never seen the original. I've got a collection of the Richard Hannay stories (Rupert Penry-Jones plays Hannay in this production) and it's quite a chunkster but I've only read the one slender story. Spies, guns, a scene reminiscent of North by Northwest, in which Hannay runs from a shooting plane (probably one of the historical anachronisms mentioned in the Wiki entry), romance. It's a fun movie. 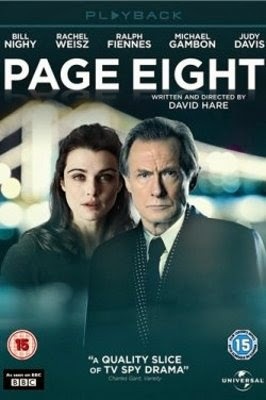 Page Eight is another BBC production, a movie starring Bill Nighy as MI-5 agent John Worricker, whose best friend and fellow agent, played by Michael Gambon, exposes information that could be damaging to the Prime Minister and then dies. The Prime Minister naturally wants to make all evidence of his wrongdoing disappear and Johnny has to make a decision. Page Eight is absolutely marvelous -- smart with taut suspense without resorting to violence. I watched the movie alone while Huzzybuns was away on business and then suggested it when he said, "We should watch a movie. You're reading badly." It's true, I kept putting down my book. My husband is terribly picky about movies but he thought Page Eight was excellent and we agreed that had Hollywood gotten hold of the storyline, it would have become all about guns and car chases rather than carefully-chosen words and clever ramping of suspense. Yet another BBC production I watched while the spouse was away: Parade's End, starring Benedict Cumberbatch. I have the book by Ford Madox Ford but have not yet read it. The BBC production is a 5-part mini-series and it's absolutely beautiful. Gorgeous sets, excellent acting, Ben with a plummy, aristocratic accent, frowning a great deal (I've seen a meme comparing his facial expressions in Parade's End to Grumpy Cat - hilarious). 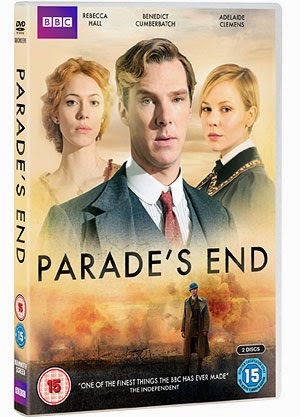 I particularly loved Parade's End for the explanation of the political maneuvering that led to WWI and the way the hero, Christopher Tietjens, goes from being admired for his brain to damaged and blackballed and then on to heroism and true love. It took me a bit of digging but I located my secondhand copy of Parade's End and keep petting it, thinking its time is coming soon. That comment about scraped knees and a sore shoulder has to do with a tumble I took while exercising. It's a long story and pretty funny because of how and when it happened (painful, but even at the time, I saw the humor in it). I need to write it all down before I forget. In other news, our old house is under contract only 3 months after we put it on the market. There is still much to be done before we can feel confident that the sale will go through but we're hopeful that we'll be finished owning two homes by July. Very exciting! Fingers are crossed that things will continue smoothly. What's happening in your world? Any wonderful books or movies you can't stop talking about? I have to make a quick comment, up front, that I'm not sure I actually am posting on the correct day because I've got the tour date for I'm Nobody in my calendar on one date and a note to myself in my inbox with a different date. So, I picked the one that worked best for me. Apologies if that's incorrect. Caleb Reed has suffered from crippling anxiety since the death of his sister. To help him recover, his parents pulled him out of public school thinking homeschooling would help him calm down. Instead, 7 years on, his issues have grown worse. Now, he won't even leave the house. His parents think he's crazy but they have no idea how to help him. When Caleb notices a light coming from the old, abandoned house across the road, he is terrified. But, then a former classmate shows up at his house and mysterious notes begin to show up outside his door. At first, Caleb thinks the notes are from his former classmate but they're signed by a different name. Is it Iris, the young girl who has taken an interest in Caleb and wants to film a documentary of his life, or is his sister trying to contact him from beyond the grave? Unfortunately, I'm Nobody was a DNF for me. I made it to page 70 out of 215 pages. 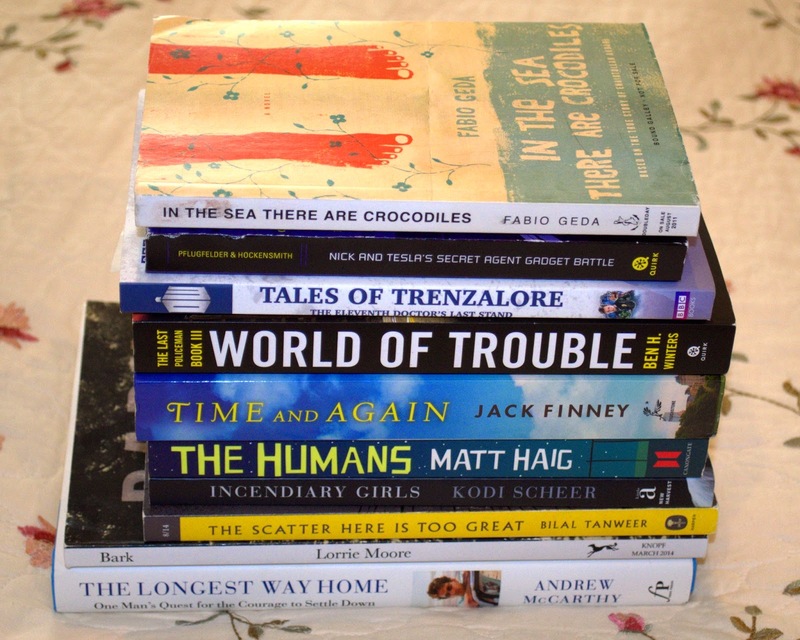 It's important to note that I've had a bad run recently, with a couple books (not yet reviewed) that I'm convinced I should not have bothered to finish. So, I'm a little more prone to give up on a book, at this point. Having said that, there were two reasons I stopped reading. The first was that the book never really grabbed me and sucked me in. I thought Iris had a good heart and I cared about what was going to happen to Caleb, but I kept setting the book aside -- sometimes in mid-sentence -- and walking away from it. I also found the sentence structure incredibly awkward and frustrating. I've got that uncomfortable condition known as "editor brain" and the entire time I was reading I'm Nobody, I kept halting to restructure sentences in my head. 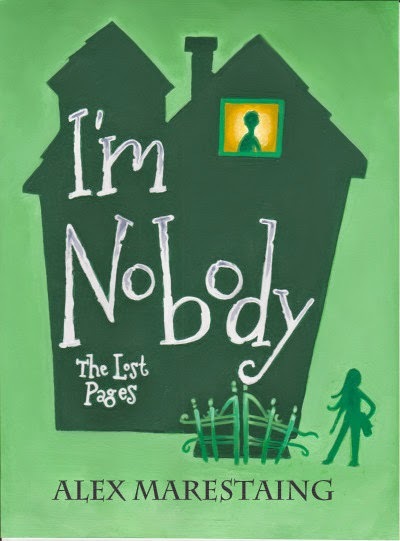 I do think at another time, I might have finished the reading of I'm Nobody. While the writing style would still have annoyed me any other time I picked it up, I do think the characters were interesting and if I had the just a touch more patience, who knows? I might have enjoyed it. At this moment, it was not for me. Neither recommended or not recommended - There were things I liked about I'm Nobody, but clumsy sentences and impatience kept me from finishing the book. I would not, however, warn anyone but those who can't bear awkward sentences away from the reading. I like the idea. The book just didn't capture me. Note on the purchase: I've read two books by Matt Haig. One was a children's book, To Be a Cat, the other, The Radleys, for adults. 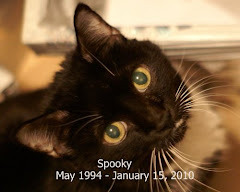 I thought To Be a Cat was exceptionally creative, entertaining writing and The Radleys had surprising depth for a book that at its surface appeared to be yet another inventive spin on the vampire story. I've also come to admire Matt Haig as a human during the couple years that he's been one of my tweeps on Twitter. Ever notice how when you really start to like an author as a human you feel like it's worth going that extra mile to acquire their work? That has become the case with Matt Haig. I only had a minor understanding of what Echo Boy was about and it hasn't yet been released in the U.S. but I figured, "Hey, I really like what I know of this author and I'm pretty besotted with his writing." I really wanted to read his latest in a timely manner. So, I ordered it from Book Depository and, while I was at it, also ordered a copy of The Humans, both because I've heard so much about it and because I prefer the British cover. Two birds, one stone. Audrey has never liked Echos, created humanoids who are devoid of emotions, designed to work for their human masters but not to feel. But, she tolerates her family's Echo, Alissa. Even though Alissa's a little creepy, they've really needed help since her father's accident. Then, one day Alissa becomes a killer. Audrey escapes the murderous Echo only to find herself surrounded by Echoes, living in her wealthy uncle's mansion. Daniel is an Echo who works in uncle Alex Castle's home. But, there is something unusual about Daniel. He is a prototype, one of a kind, and he has a message for Audrey. Is Audrey's fear of Echoes unfounded? Can Daniel be trusted? And, what about her uncle? Audrey's family had an Echo created by Sempura, but Alex Castle is the head of Castle Industries, the leading creator of Echoes. Is Audrey safe with Uncle Alex or is she in danger? I'm not sure of the exact time period but since the characters occasionally say, "That's so 2090," Echo Boy is clearly set over 150 years in the future. There were moments that I found myself fighting acceptance of this future world but at the same time there were things I loved about it; for example, the flooding and other alterations on Earth due to climate change and some of the newer technology (as fast as it's changed in my own lifetime, much of it seemed plausible). But, it did take some time to immerse myself in this futuristic world and believe in it before I began to really love the story. 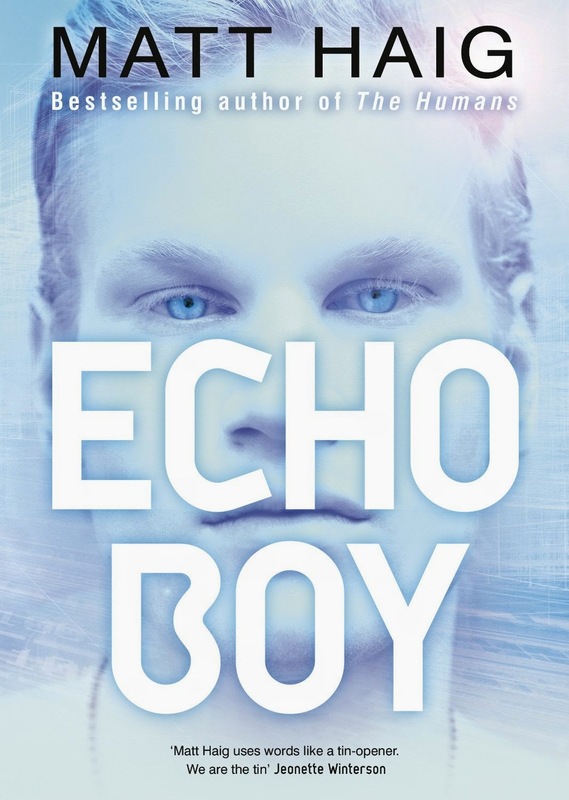 Once I'd accepted the author's world building, I became so enraptured by Echo Boy's' storyline that when I closed the book I didn't want to leave that new world and it sent me into a horrendous reading slump. Personally, I think that's high praise. I also liked Audrey and Daniel enough that I would be perfectly happy if Matt Haig wrote a sequel. Highly recommended - While I found the futuristic Earth initially difficult to buy into, once I did the story grabbed me hard and I absolutely loved the experience of living in the pages of Echo Boy's dystopian, climate-change-screwed world so much that I had trouble letting it go. Perfect for YA lovers, dystopian fans, sci-fi fans and other escapists. Great storytelling, a unique world, terrific characterization -- an all-around fun, adventurous read. 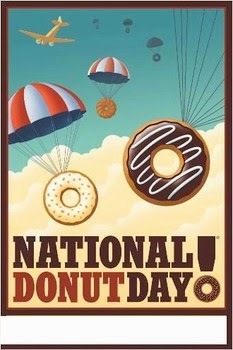 It's also National Donut Day. I'm about as round as a donut, these days. Seems apropos. 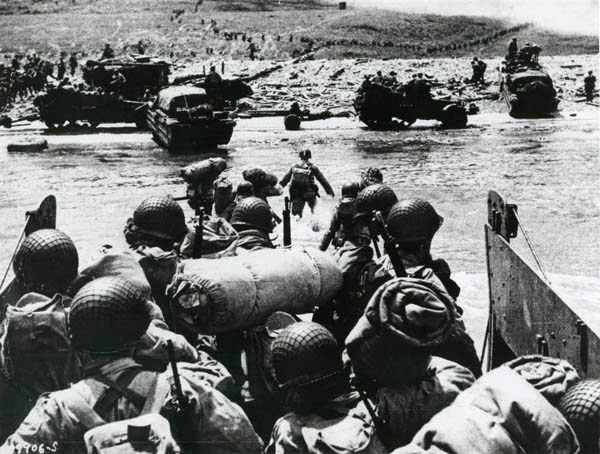 This, however, is also an important day of remembrance, the 70th anniversary of D-Day. Everything else pales by comparison. On to the review of The Forgotten Seamstress . . .
At the turn of the 20th century, young orphan Maria Romano and her best friend Nora learn to sew with delicate precision, their skill so admirable that when the time comes for them to go into service they're taken to work at Buckingham Palace. When Maria catches young Prince David's eye and his manservant doesn't do a sewing job to his satisfaction, David has Maria brought upstairs to do a hasty job. The prince is happy enough with the work to call Maria back on occasion. As the prince reaches out to Maria with an affection she never could have imagined, she falls under his spell. But, when she falls pregnant with his child, she is spirited away, locked up in a mental facility where she eventually sews her love into a quilt, knowing nobody around her believes a word she says. Did Maria really give birth to the prince's baby? If so, what became of the child? Is Maria a "fantasist" or were her mental issues created by those who wished to silence her? In 2008, Caroline Meadows is helping her mother clear her home of unneeded possessions when she comes across a quilt handed down to her by her grandmother. The quilt is made from an odd hodge-podge of designs and fabrics, some of them recognizably of high quality, with a number of embroidered designs and a verse. Curious about its origins and intrigued by an old photo of the quilt and a lady with a twinkle in her eye, Caroline seeks answers to the puzzle of the quilt while her everyday life is both crumbling and soaring with possibilities. Even when the quilt goes missing, she continues her search. But, the story of the quilt will lead to revelations she could never have dreamed possible. Dual storylines -- one historical, one contemporary -- have become a pretty commonly used device in recent years and, to be honest, they aren't my favorite. I tend to prefer one storyline or the other, usually the historical, and end up finding the second a slog. That's pretty much how I felt at the beginning of The Forgotten Seamstress. Maria's story is told through a series of interviews taken on cassette tape at a mental facility in the 1970s, Caroline's story in present tense. As usual, I was much more intrigued by Maria's story than Caroline's. And, yet, Caroline's search unfolds so realistically and the two stories are interwoven with such skill that by about page 100 I was completely engrossed. I had to know what happened to Maria, what Caroline would find out, whether or not Caroline would ever locate the quilt, what would happen to Caroline and whether she would find love, again. In the end, I closed the book with a sigh, completely satisfied by the answers and how they had been revealed. Recommended - By far one of the best historical/contemporary blend novels I've read, with an intriguing mystery, clear prose, a unique historical setting and excellent characterization. Particularly recommended to fans of historical fiction, quilting and/or dual storylines. 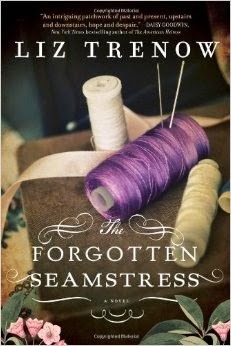 Even though I'm neither knowledgeable about or all that interested in quilts and tend to dislike a blend of historical and contemporary storytelling, I found The Forgotten Seamstress an extremely satisfying and enjoyable read. The only problems I had with it were a slow beginning and a bit of difficulty buying into the upstairs-downstairs relationship. Once I got past those difficulties, I was surprised how much I enjoyed The Forgotten Seamstress.